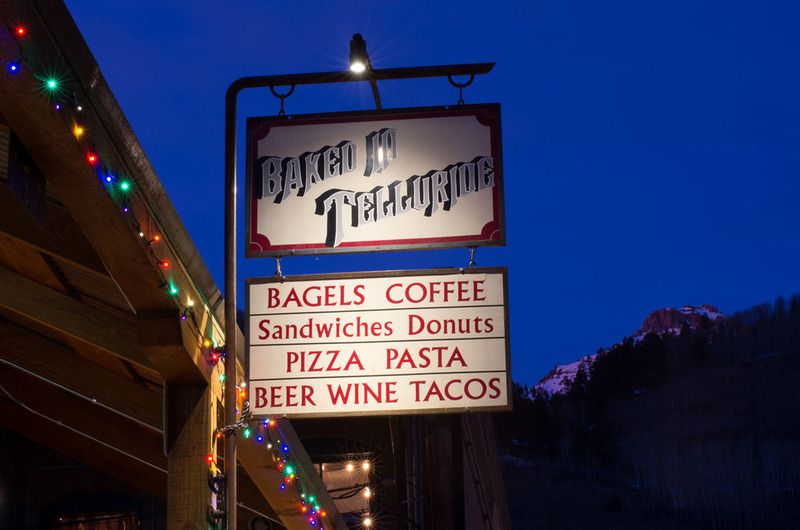 Baked in Telluride’s owner is longtime local Jerry Greene. An engineering and psychology graduate from Cornell University, Greene spent much of his college career at student station WVBR. His pursuit of a radio career led him to Telluride. After a stint in St. Louis with groundbreaking community radio KDNA, and in Denver starting the project that became KUVO, he came to the nascent resort in 1974 to consult with locals dreaming of a community radio station. In 1976, with purely non-commercial KOTO on a ﬁrm footing he asked “What else is missing?” His answer…”bread”! 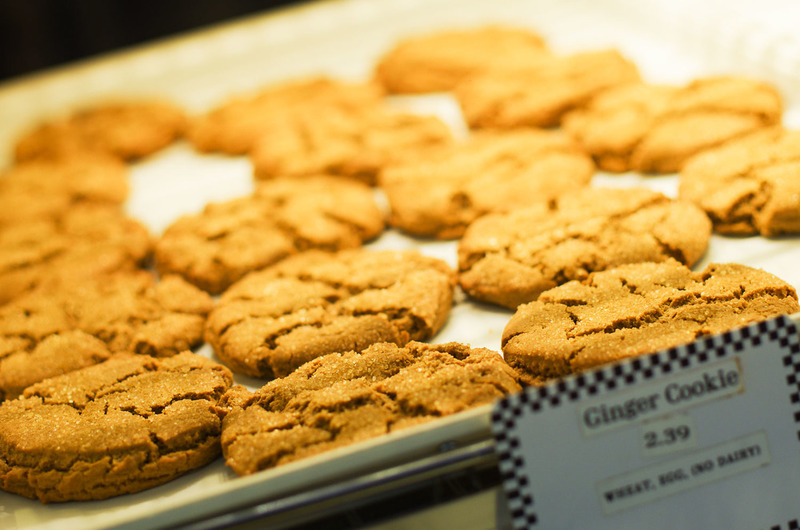 While not a commercial baker by heritage, the scientific and manufacturing nature of baking appealed. 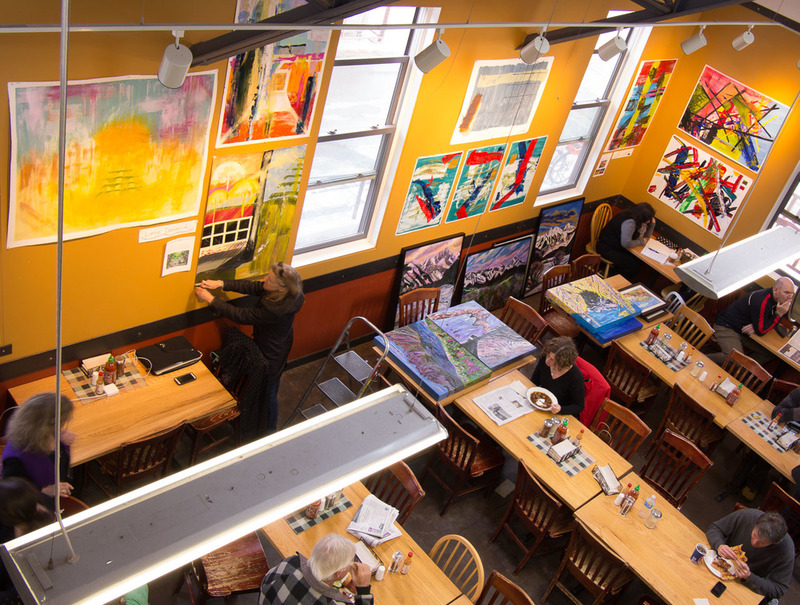 So began Greene’s second major community institution, Baked in Telluride. Passionate about immigration reform, hospitality and Telluride’s responsible growth and development over the nearly 43 years that he has called it home, Greene’s civic spirit has moved him to be active in town government, serving on Town Council and many committees and boards. He continues his active involvement in politics, currently serving on the Open Space Commission which oversees preserved parcels east and south of town. He has spoken about business and baking at the high school, mentored a local kid, and donates baked goods and food to nonprofit events and food banks. Greene completed 27 consecutive Imogene Pass Runs and sponsors the 13 mile Sneffels Highline Run the ﬁrst Saturday in August. Meatloaf with mashed potato and vegetable. House made spaghetti with meatballs, vegetable, bread. 3-way calzone: Three cheeses and three added ingredients. Thanksgiving dinner including freshly roasted turkey, gravy, mashed potato, honey cranberry sauce, vegetable. 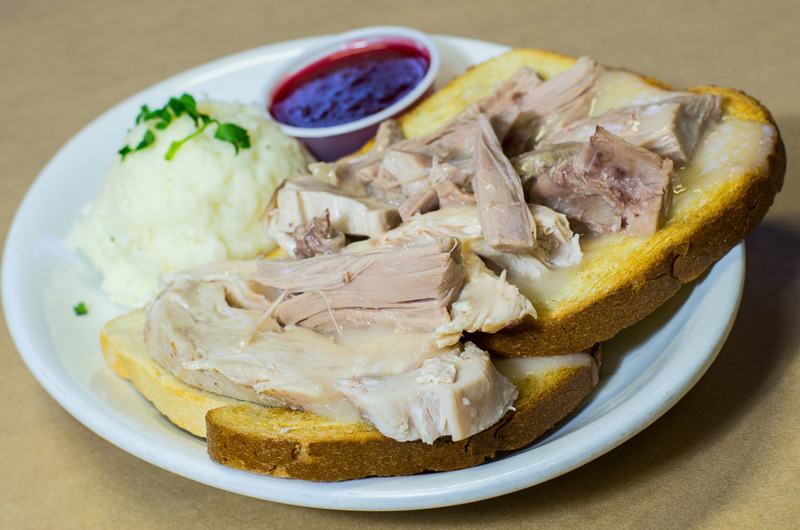 Open face turkey sandwich, gravy, mashed potato, choice of bread. Telluride’s favorite pizza, made with sourdough crust. Roasted turkey, bacon, fresh avocado, mozzarella cheese, watercress and black olives. Clam Chowder New England, Scratch! Clam Chowder New England: All scratch! Our premium homemade garlic garbanzo, tahini spread. Served with bakery bread and vegetable. Add meat or seafood. Olive oil, garlic, tomato, fresh basil. Piñones, Parmesan, basil, olive oil. Choice of avocado, shrimp, chicken, fajita beef, black bean, pork or breaded cod. Bean, fish or meat with lettuce, salsa verde, jack in organic corn tortillas. 12” flour tortilla with rice, beans, lettuce, pico de gallo, salsa verde, cheddar and choice of filling. Rice, beans, pico de gallo, salsa verde, cheddar, organic corn tortillas and choice of filling. Three enchiladas, rice, black beans, choice of filling.